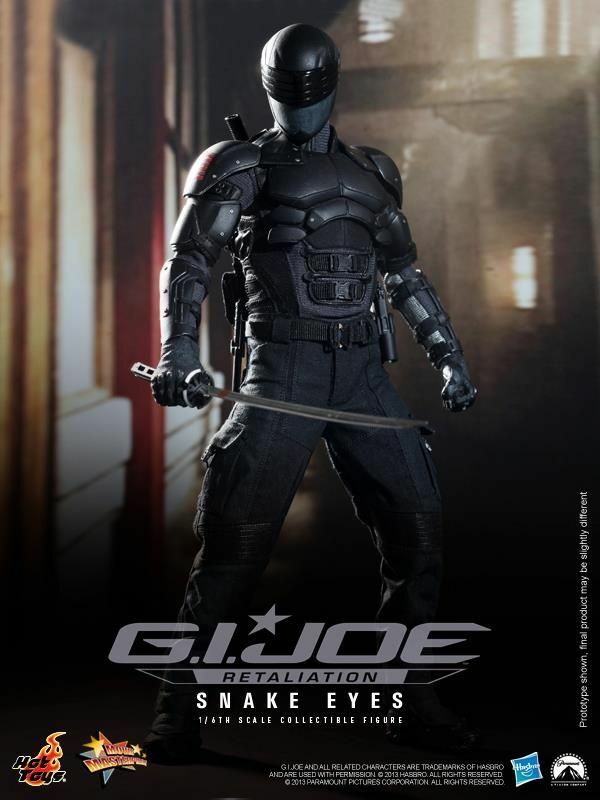 Hot Toys has unveiled a figure based on the character of Snake Eyes – the first G.I. Joe: Retaliation character toy to be shown off ahead of the film’s release in March. The collectible has been produced in collaboration with Hasbro. 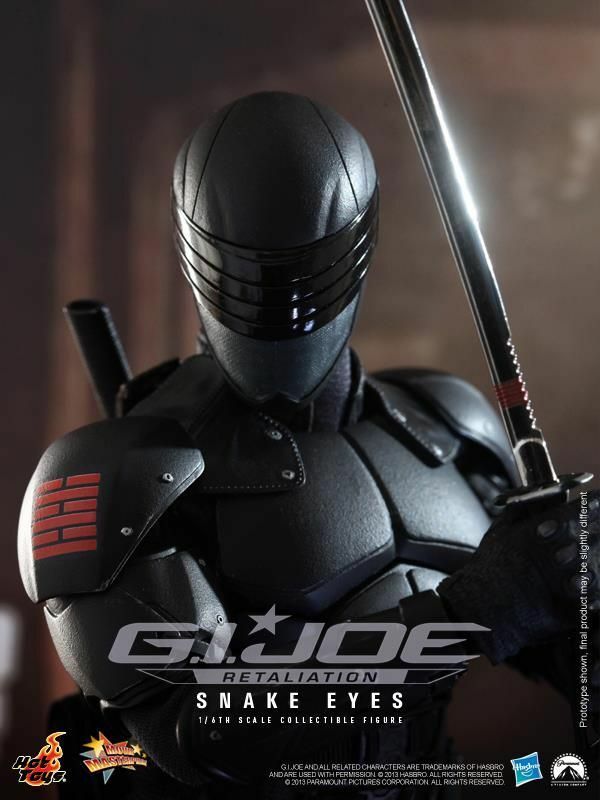 “The movie-accurate collectible is specially crafted based on the image of Snake Eyes in his black ‘military ninja’ bodysuit in the movie, highlighting the character’s image, highly detailed costume and weapons,” a Hot Toys suit said. We’ve posted a few images here but check out a ton more on the official Hot Toys Facebook page. 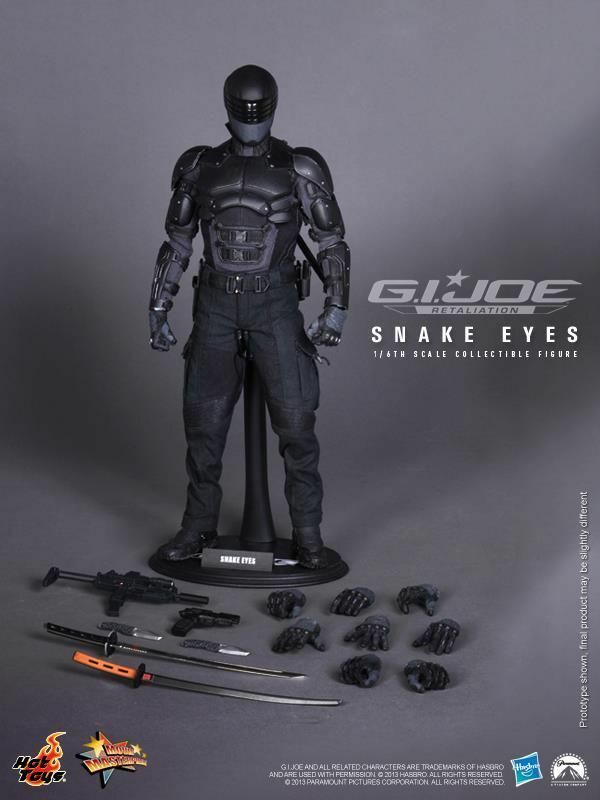 A warning on the images does say this is a prototype and the final Snake Eyes doll may look slightly different. Snake Eyes is played by Ray Park in the upcoming sequel, reprising his role in the original G.I. Joe: The Rise Of Cobra. Paramount’s GI Joe: Retaliation (3D) opens in UK cinemas on 27 March 2013 and in US cinemas on 29 March 2013.